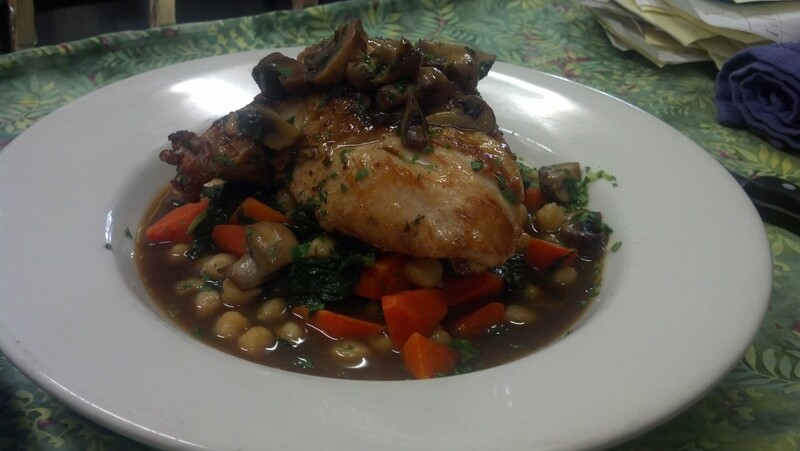 The evening chefs have outdone themselves with this Mary’s chicken breast over ceci with carrots and mushrooms. And of course our evening servers are absolutely as delicious as our fare. Rachel and Jonah are a winning service combination. Previous PostPrevious Kitchen Crew of Which to Be Proud!! !